In 2016 members of the Royal Family join celebrations of The Duke of Edinburgh's Award's 60th year at a series of events. The Duke of Edinburgh's Award (DofE) celebrates its Diamond Anniversary in 2016, having helped to transform the lives of millions of young people in the UK and across the globe since it was founded in 1956. The Duke of Edinburgh's Award was launched in the United Kingdom in 1956 by Prince Philip, The Duke of Edinburgh at the instigation of Kurt Hahn, the educational pioneer and founding headmaster of Gordonstoun School. The Award is a balanced programme of activities available to all young people between the ages of 14-24 that develops the whole person in an environment of social interaction and team work. In its anniversary year, the DofE is encouraging people of all ages to set and achieve their goals through the DofE Diamond Challenge. This is a one-off initiative for 2016 that aims to give everyone a flavour of the life-changing benefits of The Duke of Edinburgh’s Award. As part of the celebrations, The Earl of Wessex is travelling around the UK to meet DofE participants and volunteers - he kicked out his tour with a visit to Manchester City FC, the first Premier League Club to offer the DofE Award to its Academy players as part of their personal development. His Royal Highness visited Paddington Station in London to mark the 60th anniversary of the Duke of Edinburgh Award, by naming a train in its honour. All aboard! The Earl of Wessex visits Paddington Station in London to mark the 60th anniversary of the Duke of Edinburgh Award - @dofeuk - by naming a train in its honour. 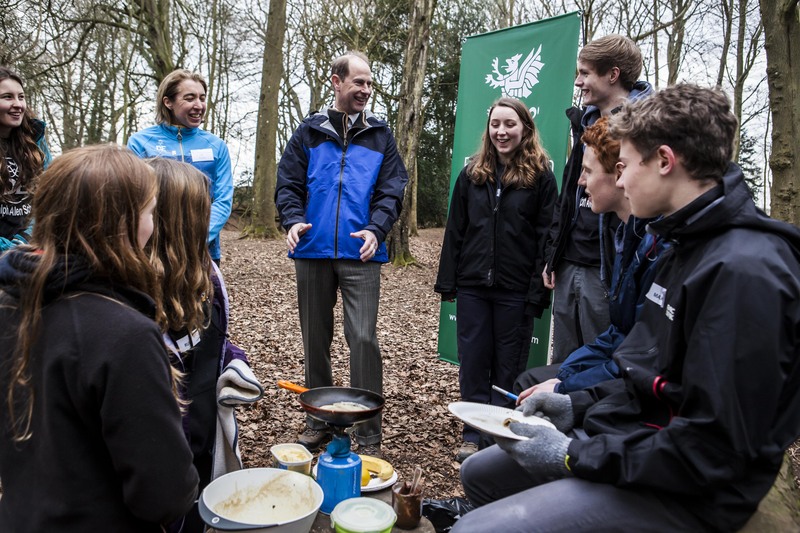 To mark the 60th anniversary, the Class 43 train is being named: "The Duke of Edinburgh’s Award Diamond Anniversary 1956 – 2016"
​On a visit to Prior Park College, Duke of Edinburgh Award students demonstrated pitching tents and first aid in the woods immediately adjacent to the College.